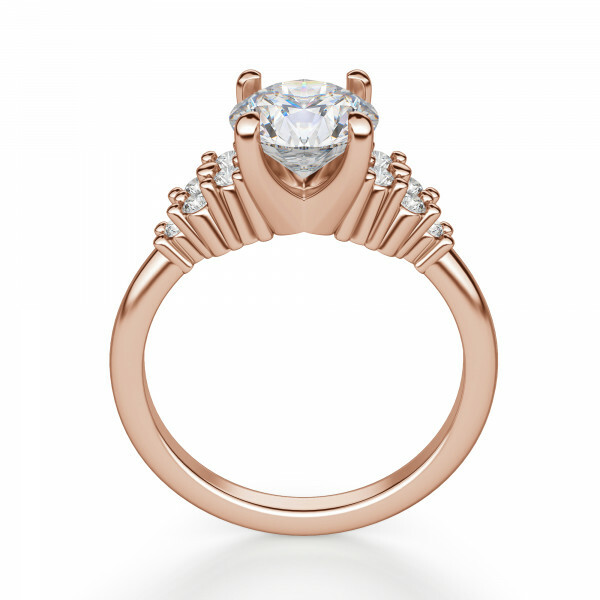 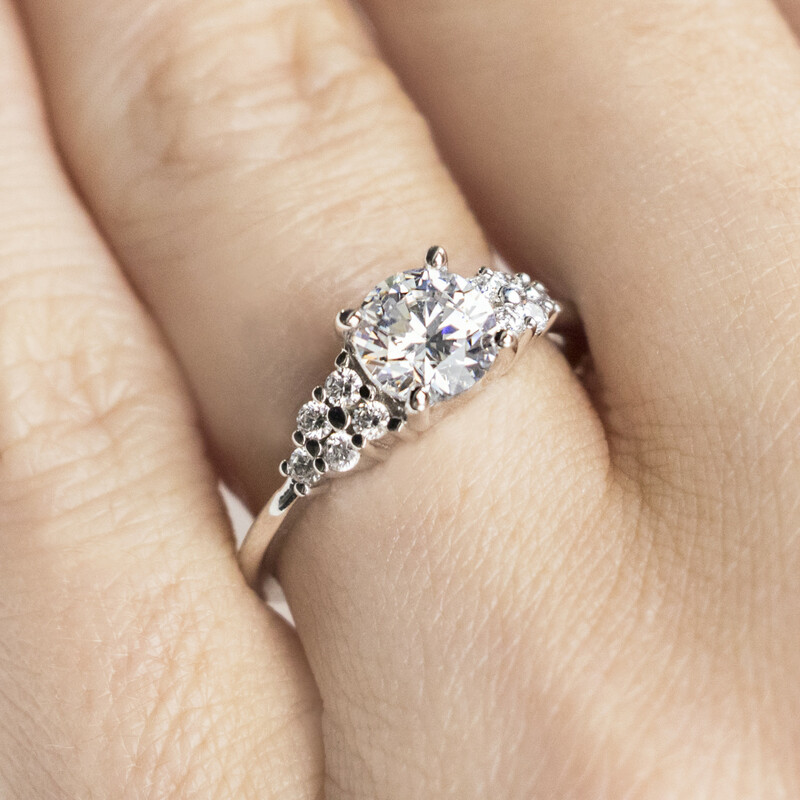 Taking its inspiration from clusters of the plumeria flower, this accented engagement ring has feminine elegance. 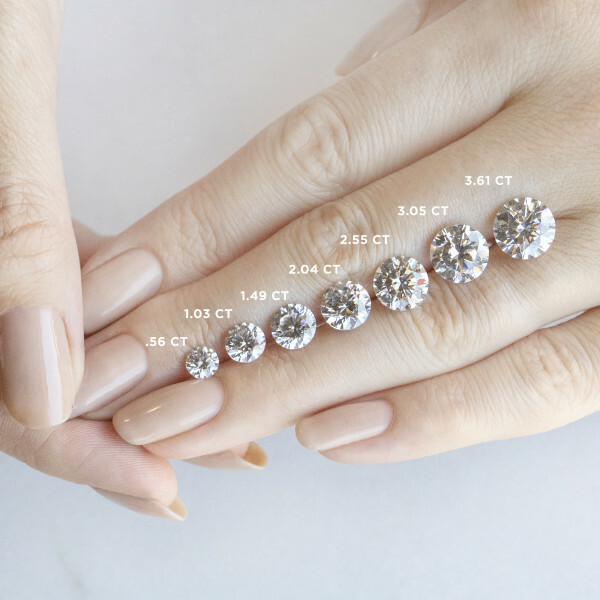 The cluster of accent stones rise up toward the center Nexus Diamond Alternative in the center. The cathedral style shoulders make the design more cohesive and comfortable to wear. 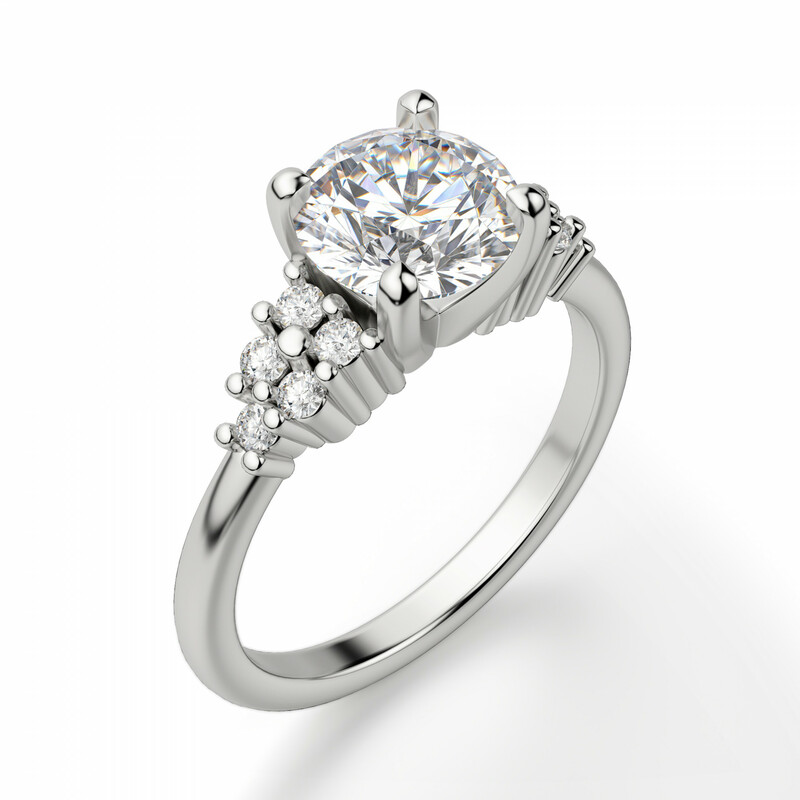 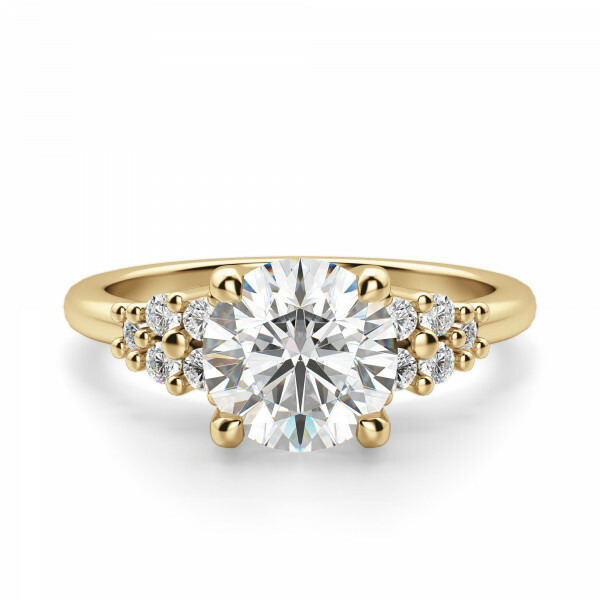 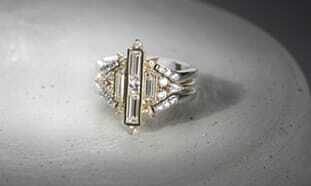 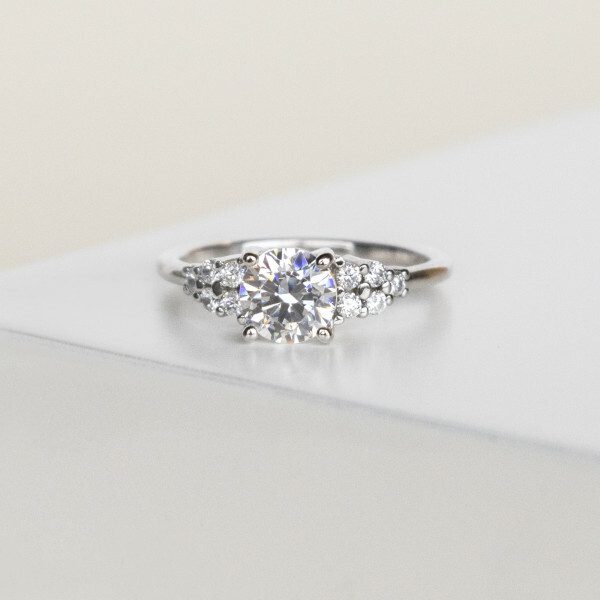 The extra sparkle makes this accented engagement ring a little glamorous and completely stunning. 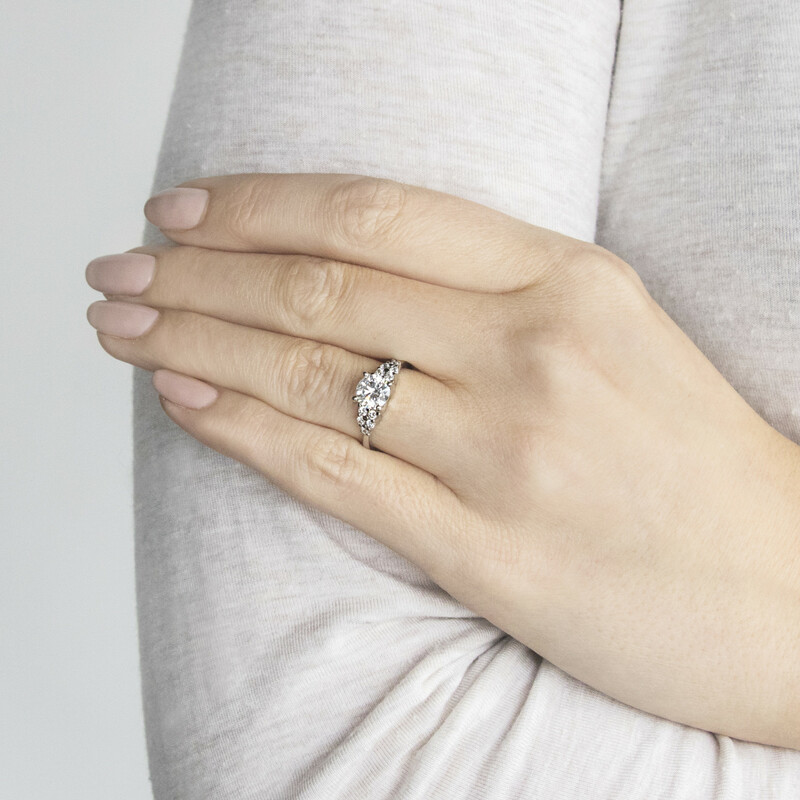 Complete the look with the matching Plumeria band.